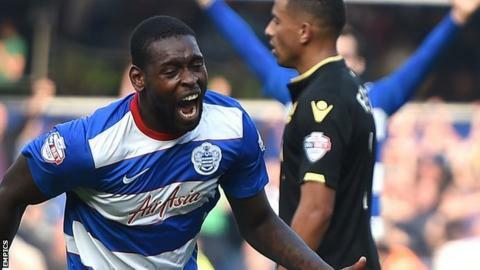 Boss Chris Ramsey is hopeful that Jay Emmanuel-Thomas can provide QPR with further goals in the absence of injured leading scorer Charlie Austin. Emmanuel-Thomas, 24, netted a brace on his first QPR league start, including the winner in the 4-3 win over Bolton. Austin, who has scored seven goals this term, is sidelined for four weeks. "You want him to score and to help us create, and see if we can get an adequate replacement for someone like Charlie Austin," Ramsey said. "He's a different type of player, but ultimately it's about scoring goals no matter how they come." Former Arsenal trainee Emmanuel-Thomas joined QPR in June after his release from Bristol City. He has scored four goals in five games in all competitions so far this term, having struck in previous starts in the League Cup. "What he has to do now, as a young man with talent, is keep his feet on the floor and work like that for the rest of the season," Ramsey said. "You try to give people opportunities and they have to grab them when they come. It's important to me that all players have a pathway to the team."